Alabama sophomore guard John Petty speaks with reporters after his team’s 71-68 loss at No. 3 Tennessee on Saturday, Jan. 19, 2019, saying he didn’t think he traveled in the closing seconds of a one-point game but had to accept the official’s call. Alabama sophomore guard John Petty speaks with reporters after his team's 71-68 loss at No. 3 Tennessee on Saturday, Jan. 19, 2019, saying he didn't think he traveled in the closing seconds of a one-point game but had to accept the official's call. Sorry! Please update your browser or try a different one. 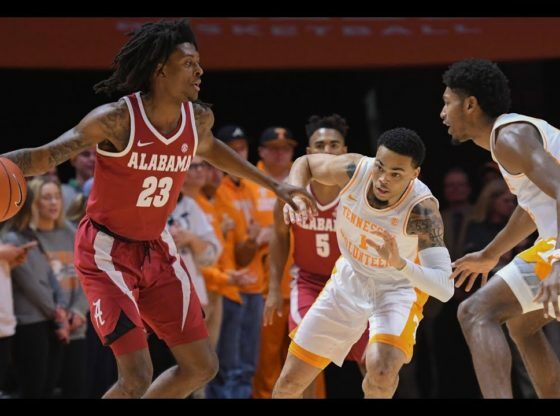 Bama's John Petty disagrees with late-game travel call at Tennessee Coach Avery Johnson after beating Ole Miss and on playing UK tomorrow SEC 2016 Maybe you like! West Memphis OIS Midday. More info on West Memphis OIS Midday. Related. Bama’s John Petty disagrees with late-game travel call at Tennessee. Julie’s Secret @ Northwest Prep. Leave a Reply Cancel reply. You must be logged in to post a comment. Memphis News. Tennessee basketball coach Rick Barnes speaks with reporters after this third-ranked Vols' 96-53 win over Tennessee Tech on Saturday, Dec. 29, 2018, saying he and his players know sophomore John Fulkerson is capable of performing as well as he did against the Golden Eagles.